Destiny Hospice & Palliative Care is very proud of the professional and resourceful people we have assembled to serve you. In 2011, Destiny Hospice & Palliative Care was established when the need for comprehensive end of life care end of life was recognized by the founders of Destiny Home Health Agency, Inc. In 2015 Destiny Palliative Care Support was added to support patients who are seriously ill and in need of palliative services. The Employees of Destiny Hospice & Palliative Care are passionate about patient advocacy and dedicated to our patients. 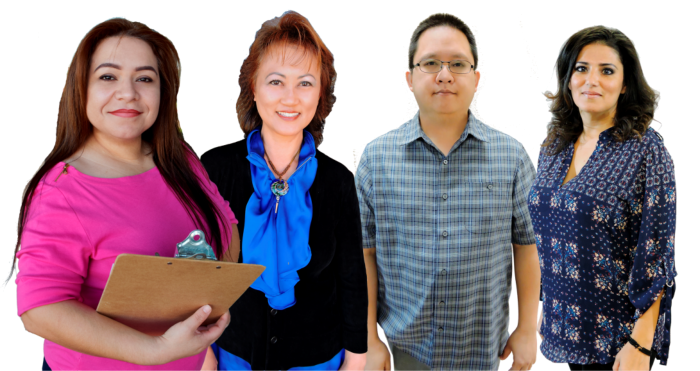 Each member works closely as a team to provide the best support for their patients, families, and field staff. Destiny’s office staff members run day to day functions for the Company including but not limited to scheduling, training, managing, auditing, data entry, billing and answering phone calls. Each member is dedicated to contributing to the health and well being of Destiny’s Patients.